Happy Monday! Today's Neverending Pile Challenge theme is brown. I know not everyone is a fan of brown nail polish, but I love it. I think because browns have a nice earthy, natural quality that other neutrals don't. 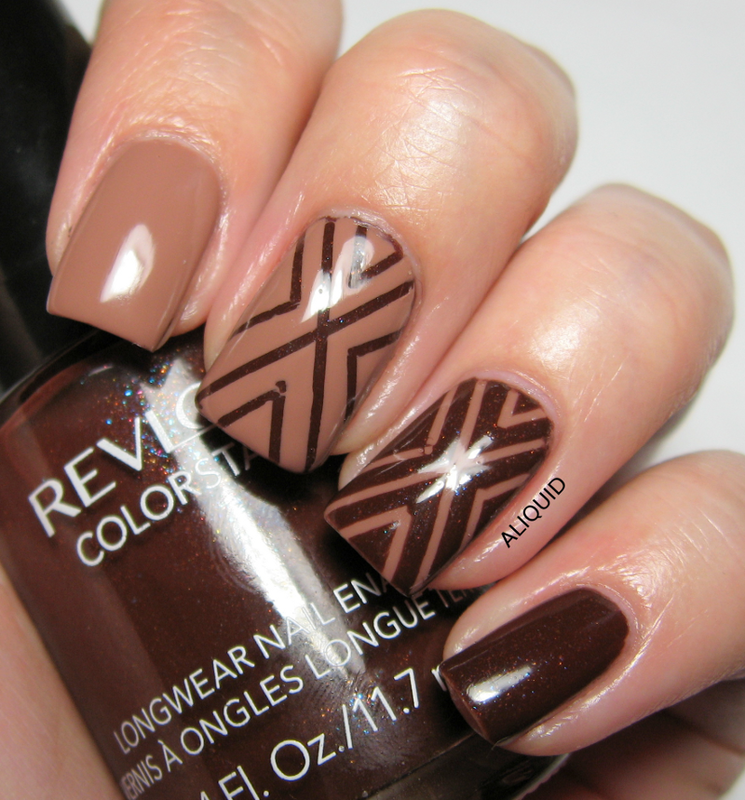 Anyway, today I did a simple striping tape mani (pattern shamelessly stolen from Chalkboard Nails) using Julep Annemarie and Revlon French Roast. French Roast has beautiful multicolored flecks in it--I really should swatch it separately sometime! P.S. This is my 250th post!! This is a fantastic combo, it's seriously giving me chocolate cravings. The red and blue flecks in French Roast are just crazy! Please do swatch it, it's super cool! Nice brown manicure. I really need to use my striping tape to try out that design. It looks so good.